FRANKLINTON—A 51-year-old Franklinton woman who has a doctorate degree and runs a private consulting firm was found guilty Wednesday (Jan. 20) of felony theft for fraudulently collecting more than $15,000 in food stamps and child care assistance. Kera E. Moseley, whose firm had contracts with several state agencies, was tried in December before District Judge Martin E. Coady, who took the matter under advisement. After announcing his decision Wednesday, Coady sentenced Moseley to two years in prison but suspended her time behind bars if she successfully completes two years of active probation. According to trial testimony, Moseley first applied in 2011 through the state Department of Children & and Family Services to receive benefits from the Supplemental Nutrition Assistance Program (SNAP). The SNAP benefits were denied initially because her application correctly showed that she was self-employed, and her required tax forms revealed that her income exceeded the program’s guidelines. When she applied the following year, she did not list her employment and began collecting the benefits. 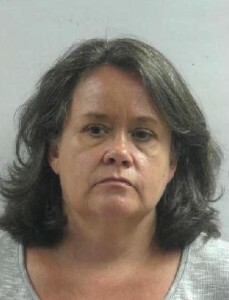 State workers testified that Moseley repeatedly called to check on her benefits and abruptly corrected them that her title was “Dr.,” if they mistakenly used just her first name or “Mrs.” A subsequent investigation later revealed that Moseley fraudulently collected $11,954 in SNAP benefits and another $3,477 from the Child Care Assistance Program (CCAP). Assistant District Attorney John Alford prosecuted the case. Moseley twice refused an offer from the District Attorney’s Office to participate in its Pre-trial Intervention Program (also known as Diversion). The program enables eligible first-time, non-violent offenders to avoid prosecution by following a set of conditions aimed at deterring future criminal behavior.